Crust Then thin and solid outermost layer of the Earth above the mantle. Asthenosphere The solid, plastic layer of the mantle beneath the lithosphere. 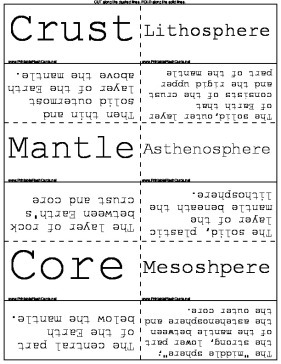 Mesoshpere The "middle sphere"; the strong, lower part of the mantle between the astehenosphere and the outer core.